Learn more about the latest findings of the critically endangered Swift Parrot of Tasmania, Australia by watching our scientific video abstract below. 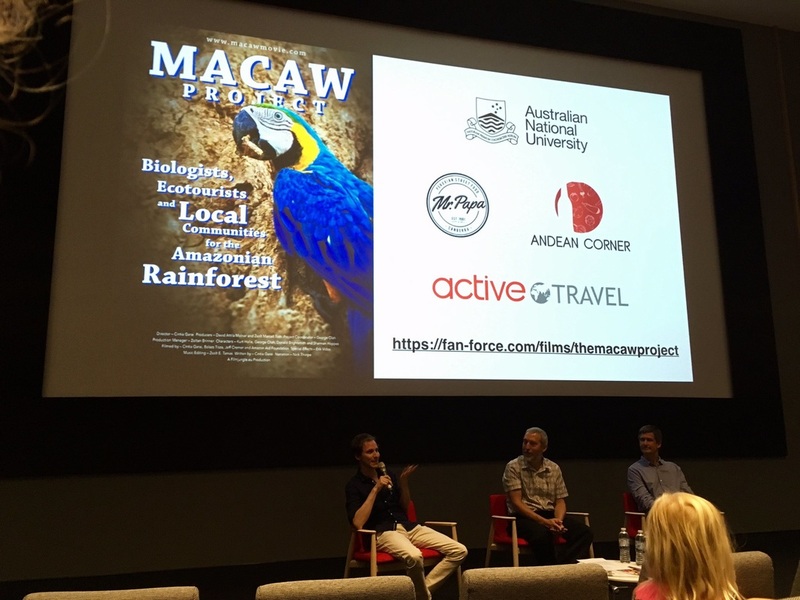 We just had the Australian premiere of The Macaw Project documentary produced by my PhD student George Olah, with Peruvian food, drinks, and music. Help to save the orange-bellied parrot from extinction! ​The orange-bellied parrot (OBP) is the most endangered bird in Australia. OBPs have been in trouble for decades. Each year conservation scientists anxiously wait for the arrival in Tasmania of migrating OBPs to see how many have survived their winter migration to the Australian mainland. This year the news is bad - only three female and 11 male OBPs survived. 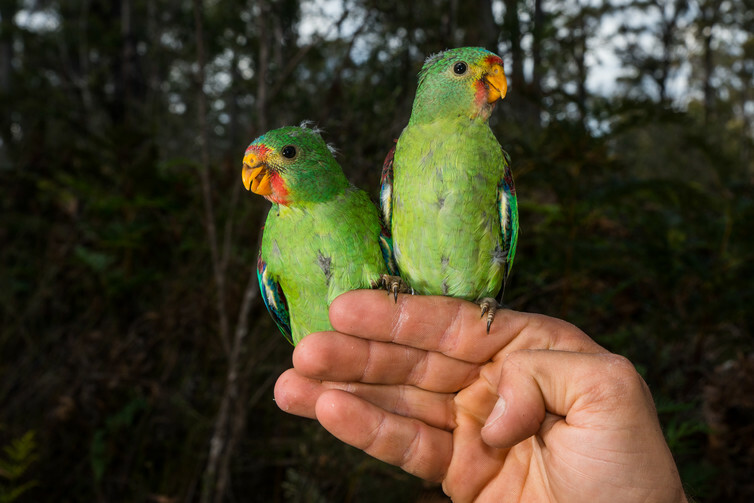 Although some action has already been taken (captive-bred female OBPs have been released), the low number of wild birds is at crisis level, and emergency intervention is required. This is where you come in. We need your help to raise enough money quickly so we can act fast to try and prevent extinction of the OBP in the next year. We will use the funds we raise to implement an emergency intervention plan for OBPs, which we hope will increase the number of birds that breed in wild nests the 2016/2017 season. 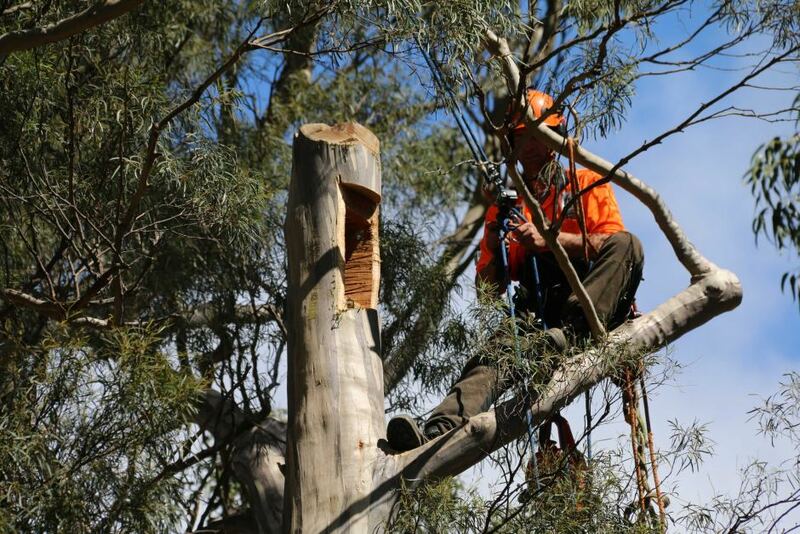 A chainsaw may not seem like the obvious solution for a bird facing extinction because of habitat loss, but a group of volunteer arborists are hoping it could be the key to saving the swift parrot. We made a video abstract about our recent paper 'Ecological and socio-economic factors affecting extinction risk in parrots' published in Biodiversity and Conservation. Watch it, it's only 4 mins! Many thanks to Filmjungle.eu Productions. 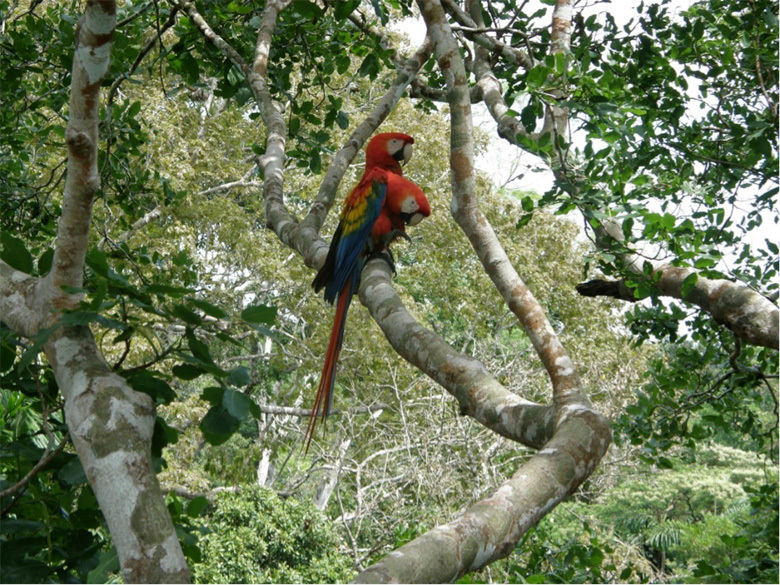 From the headline of Mongabay: Exceptional beauty, exceptional risk: New study reveals extinction dangers for parrots​. Known for their intelligence and extraordinary rock star-like appearances, parrots inhabit subtropical and tropical regions across the globe. They are one of the more well-known tropical bird species in the developed world, with appearances in popular culture ranging from their familiar role as a pirate’s talkative companion to colorful sports team mascots. These unique birds are valued for their beauty, companionship and intellectual abilities, making them a popular choice for household pets. However, their popularity comes with a great price. ​You might have seen recently that swift parrots – little green parrots that migrate between mainland south east Australia and Tasmania – are headed for extinction. In modelling published in Biological Conservation, my colleagues and I found that these parrots could be all but gone within 16 years, largely through being eaten by sugar gliders.